NPR ran a great piece yesterday on an old slave jail that has found new life. The classic four story town home nestled in Alexandria, Virginia’s historic district is fairly nondescript. Painted ash gray, you might walk by it a dozen times and never notice it. Yet this building is a piece of the dark side of Alexandria’s history. Once known as the Slave Pen, it housed slaves before they were sold to plantations and slave masters across the South. 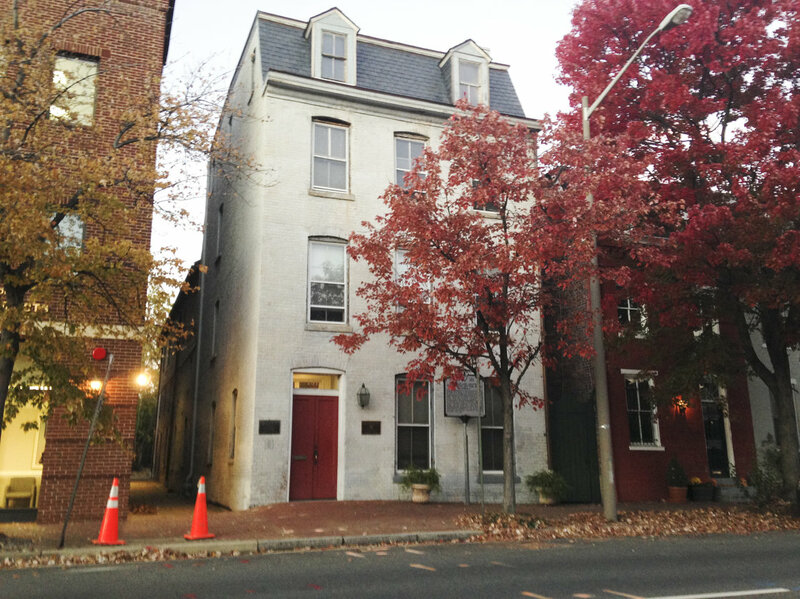 The site, 1315 Duke Street, is now home to the Urban League’s Alexandria offices, as well as a the Freedom House Museum. Cynthia Dinkins, CEO of the Northern Virginia Urban League, is proud to work in a building with such a long connection to African American’s struggle for freedom. She says that she has felt the presence of those imprisoned in the house over a hundred years ago, supporting her in the Urban League’s efforts on behalf of the marginalized. One of the most famous men to pass through the Slave Pen was Lewis Henry Bailey. Sold as a child from the Slave Pen in Alexandria to a plantation in Texas, he returned to Virginia once he won his freedom in 1863. He became a minister and established churches around Northern Virginia. The records for the Slave Pen remain a stark reminder of the dark days when men, women, and children were treated like livestock and sold to the highest bidder. According to the logs, Sam, 28 years old, was sold for $1182.50. Twenty year old Cyrus was sold for $800. Phyllis, 18 years old, sold for $770.